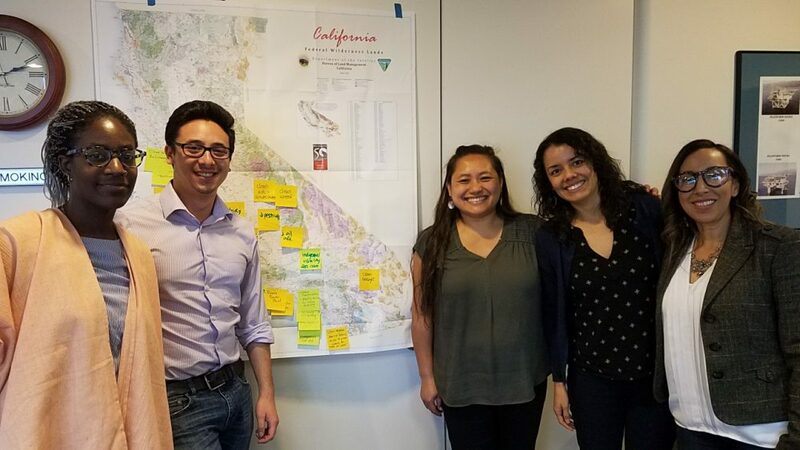 When Mari Rose Taruc approached California environmental justice (EJ) leaders about advising the California State Lands Commission on its EJ policy, they didn’t know what she was talking about. “They were like, what does the State Lands Commission do?” recalls Taruc with a chuckle. Environmental Justice working group meeting in Long Beach, California. State Lands controls a variety of public lands, many at water’s edge, be it ocean, river or lake (including submerged lands three miles off the coast). The commission issues permits or leases that dictate how the land gets used, a power that affects all people who live near these state lands. And while waterfront property might bring to mind luxury condos and vacation homes, it notably also includes less glamorous or healthful locations. Imagine for instance the areas around ports and their accompanying heavy industry. Moreover, climate change further threatens land at water’s edge. 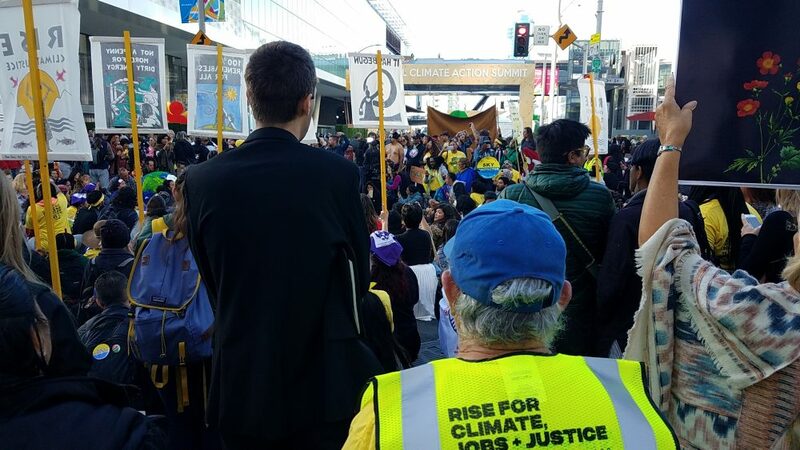 “The shoreline communities are now the frontline communities,” according to Sheridan Noelani Enomoto, a San Francisco Bayview Hunters Point community organizer and speaker at the California Climate Change Adaptation Forum held this past August in Sacramento. 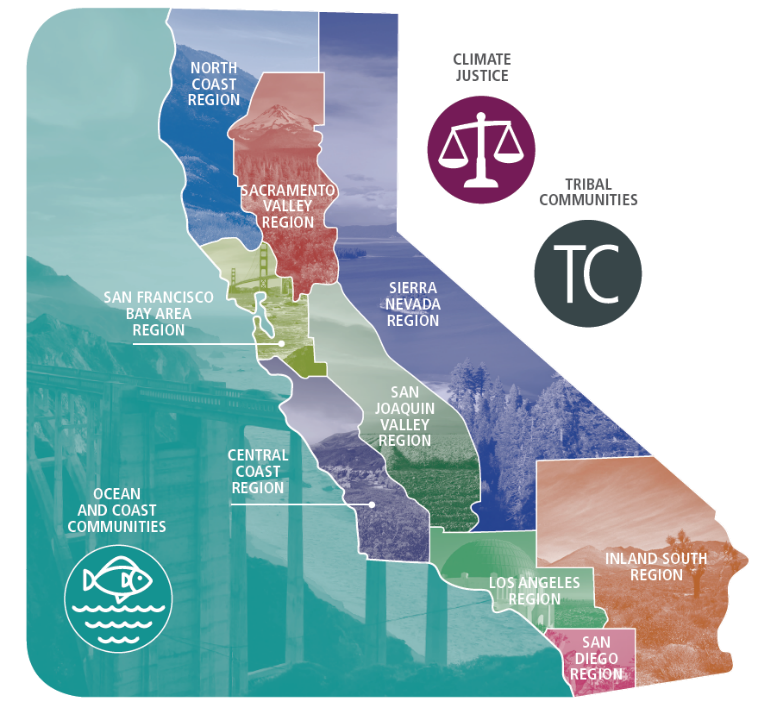 As State Lands set out to update its environmental justice policy, the commission realized it needed to consult with groups at the frontlines, shorelines, and fence lines of EJ issues in California. Taruc, the Working Group coordinator, reached out to EJ organizations throughout the state whose concerns overlapped with State Lands’ jurisdiction. For the most part, State Lands was on no one’s radar. For the commission’s part, their initial thoughts on their role in promoting environmental justice were tame, with an emphasis on recreational access to state lands, waterways, and the like. Taruc and the Working Group saw that State Lands had the potential to influence a whole lot more. When Sheri Pemberton, State Lands’ Chief of External Affairs Division and Legislative Liaison, met with frontlines communities, she was dismayed to hear how difficult it had been to work with state agencies in the past. Improved communication and stronger relationships with frontline communities emerged as points of emphasis for the new policy. According to Pemberton, the commission is determined to create “real equity, transparency, and inclusion, and to have relationships with communities so they are able to tell us what their concerns and priorities, and [so that those concerns] can be factored into the decision making process.” State Lands hopes that making structural changes in its bureaucracy to incorporate community voices will guide it towards the issues of highest priority for impacted groups. In the latest draft of the policy, the Commission settled on ten main goals, which span from external engagement with impacted communities to internal work educating commission staff. The policy also outlines steps to more integrally weave environmental justice into standard commission procedures, from making sure to analyze potential impacts of proposed plans to encouraging community-oriented leases. Additionally, a proposed new dedicated EJ Liaison could serve as a primary point of contact between the Commission and vulnerable communities. Some input could come from communities such as those served by Communities for a Better Environment, one member of the Working Group. In Wilmington, California, where the organization is based, toxic exposure yields problems ranging from asthma and rosacea to cancer and birth defects. In this predominantly Latinx community, there are fencelines everywhere: the flimsy fence surrounding the local refinery, the fence of criss-crossing highways that enclose the neighborhood, the green buffer meant to block nearby port pollution (which doubles as a children’s park), and the oil rigs in people’s backyards. the water. These sites host the kinds of activities that burden surrounding communities with pollution and environmental risk— and more often than not, the hosting communities tend to be low income and communities of color. Since State Lands has jurisdiction over the land where these activities occur, the potential for impact, it turns out, is huge. East Contra Costa County shore at Pittsburg. State Lands issues leases for oil related activities, such as pipelines and terminals along the county shoreline, as well as for other industrial uses and infrastructure within or near state waters. Photo by Adam Fullterton. Across the board, it seems obvious it was high time for State Lands to update its environmental justice policy, first drafted in 2002. “There’s a lot more awareness of environmental justice since then,” says Pemberton. As Josh Bradt of the San Francisco Estuary Partnership has observed, State Lands and other public agencies are expanding their prior “laser focus” on natural resource protection to additionally “examine current and legacy injustices to communities and commit to more equitable and inclusive decision-making processes.” The approach offers a different way of looking at estuary management, where conservation and environmental justice are not separate, but connected, interests. 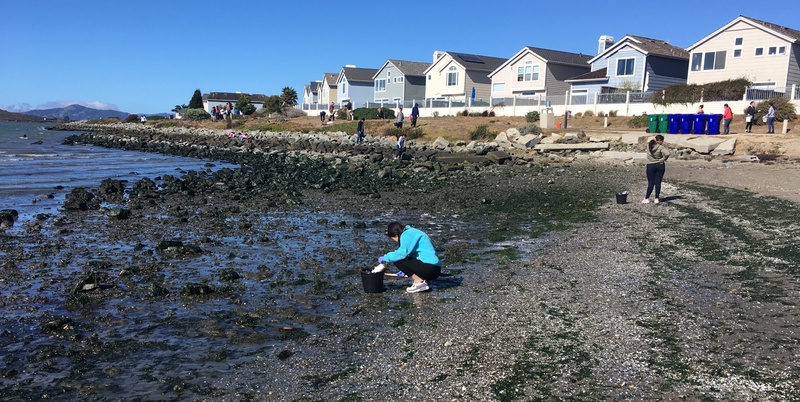 “Many of the same drivers that put the health and function of San Francisco Bay so at-risk have also placed certain communities at-risk as well,” says Bradt. While it may have been a long time in coming, there seems to be a sincere and resolute desire for institutional change from within the Commission. 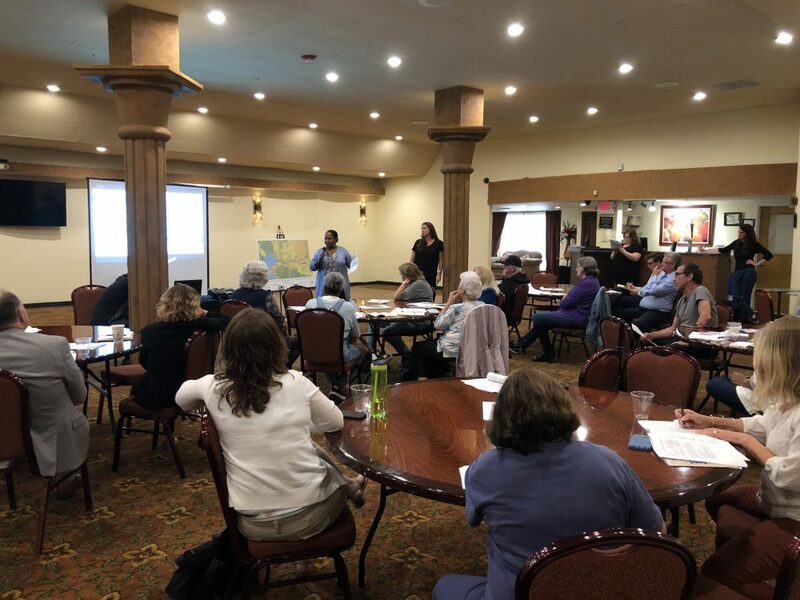 During the policy development process, Pemberton and other Commission staff visited a community in Martinez to witness in person the scale of industry that they’d been hearing about from impacted communities. “It’s profoundly affecting to hear and see what communities experience— on a personal and professional level,” says Pemberton. Throughout the policy’s development, the “sense of commitment has increased from the start to the finish,” she says of Commission staff. In light of the injustices of the past and present, there is also a chance to start making things right. Taruc sees an “opportunity to meet the goals of the agency and repair harm” by cultivating stronger relationships with communities that have felt left behind by state agencies in the past, especially displaced and landless Native tribes. Indigenous ways of managing land that utilize traditional ecological knowledge offer benefits including habitat and watershed restoration, carbon sequestration, sustainable infrastructure, and improvement of salmon runs, according to the state’s inaugural Tribal and Indigenous Communities Report. According to Agustinez, what is missing from the mainstream conversation is an acknowledgement of the social history woven into California land, which needs to play a greater role in its management. 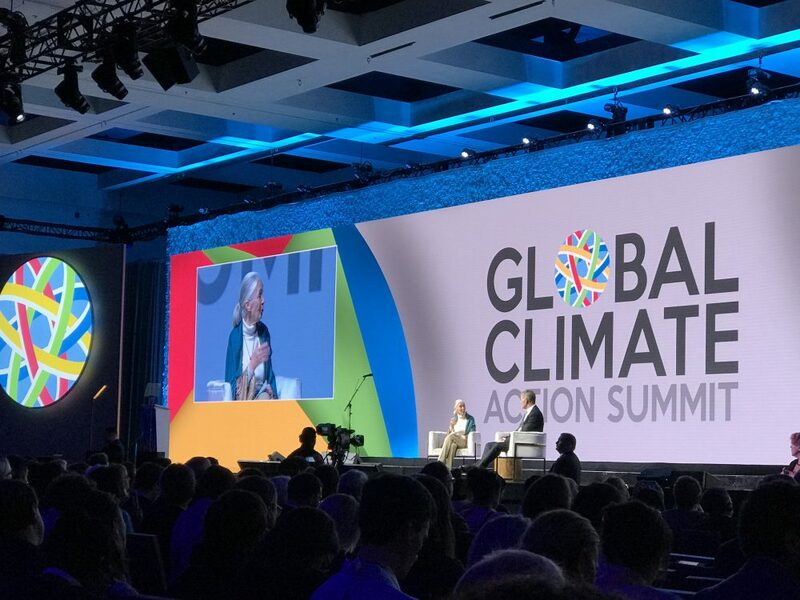 “You’re only talking about urban and environmental landscapes, but you’re not talking about cultural landscapes,” she said to the room of policymakers and bureaucrats at the forum. Taruc believes there is a special opportunity for State Lands and Native tribes to cooperate by incorporating tribe-led traditional knowledge into state management practices while restoring tribes’ access to ancestral land. It would be a “beautiful way to repair harms and protect land,” she says. Overall, Taruc is hopeful. In response to the EJ Working Group recommendations, State Lands has amended its original policy. Additionally, state law now mandates that EJ be a consideration in local general plan updates for state agencies. Moreover, State Lands is only one of multiple state agencies interested in re-prioritizing environmental justice. 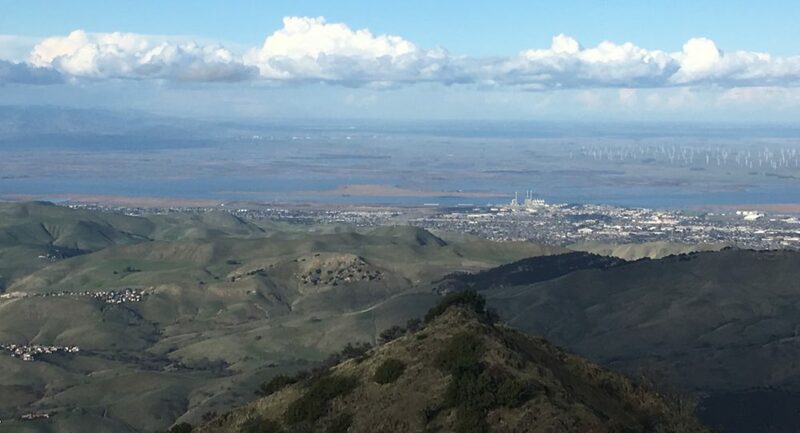 The Coastal Commission along with the San Francisco Bay Conservation and Development Commission are also currently updating their EJ policies. The updated EJ policy will go to a vote on October 18th or December 2 in Sacramento. Regardless of the outcome, the community organizations of the EJ working group will continue their local campaigns for environmental justice; chances are, their work won’t become obsolete just yet.